It’s been a busy day to me, so I was admittedly late to get to FlipControlCenter after its release earlier today. When I first saw Cody’s post, I knew that this tweak would be a part of my nightly recap before heading off to bed. Well, I just tried FlipControlCenter for myself, and I can tell you that it works like a dream, even in its beta state, and even with the underlying issues with Mobile Substrate. Ryan Petrich is simply the king when it comes to tweaks of this type—or any tweak or app for that matter. FlipControlCenter might seem like the obvious answer to Apple’s lack of customization options for Control Center, and for the most part it is. But the tweak delivers on its simplicity and “just works” design. Full video walkthrough inside. Once the tweak is installed, you’ll notice a new preference panel in the stock Settings app. From there, you’ll find three sections dedicated to customizing the look and feel of your Control Center toggles: Active Switches, Suppressed from lock Screen, and Switches Per Page. For users of any of Petrich’s other apps, these toggle selections should really come as no surprise. 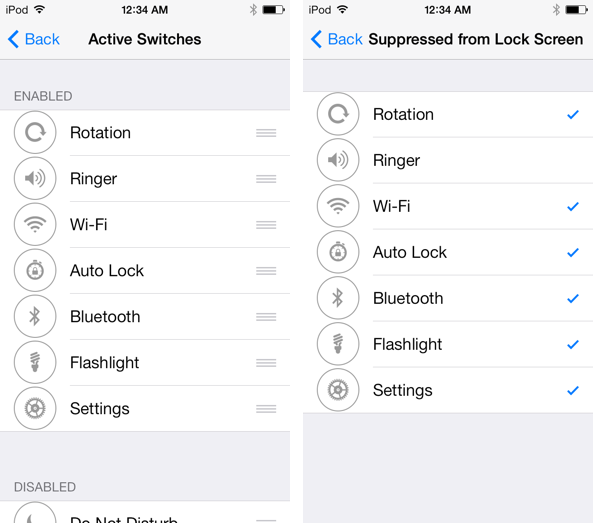 This tweak, as well as many others, relies on Petrich’s Flipswitch—a centralized toggle system developed in tandem with A3Tweaks’ Jack Willis. It’s a system that is proven, and it works quite well nestled in the Control Center overlay menu. 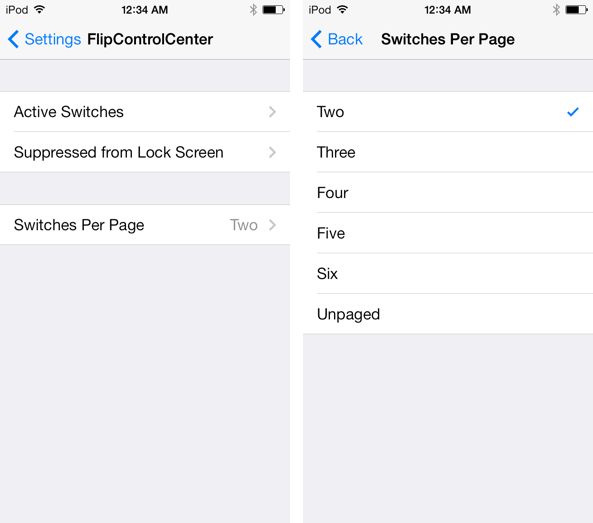 The Switches Per Page section lets you select how many toggles appear at once. You can select between two, three, four, five, six, or an unpaged amount of toggles. 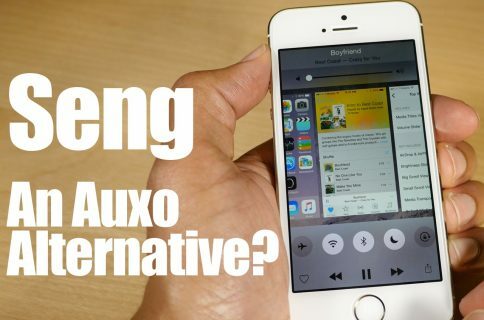 Obviously, if you’re looking for a setting that retains most of the stock lock and feel of Control Center, then you’ll want to stick with five. The last section contained within FlipControlCenter’s settings panel is the Suppressed from Lock Screen section. This is perhaps the most intriguing setting to be found in the tweak’s preferences. It basically allows you to disable the ability to toggle items while Control Center is open on the Lock screen. You’ll still notice the toggles present, but they’ll do nothing when tapped. Each toggle can be independently suppressed on the Lock screen via this setting. And that’s a basic rundown of all of the settings found within FlipControlCenter. Seeing that the tweak is still in beta, and will presumably remain there for some time, I could definitely see Ryan adding more options to the mix. But, even if he didn’t, FlipControlCenter is a solid tweak that’s easy to use, and even easier to find a use for. If you’d like to try it out for yourself, add Ryan’s beta repo to your Cydia sources: http://rpetri.ch/repo/. Remember; you’ll need to reinstall Mobile Substrate and Substrate Safe Mode if you don’t see the tweak’s preferences show up in the stock Settings app. Be sure to drop me a line below, and let me know what you think about FlipControlCenter.